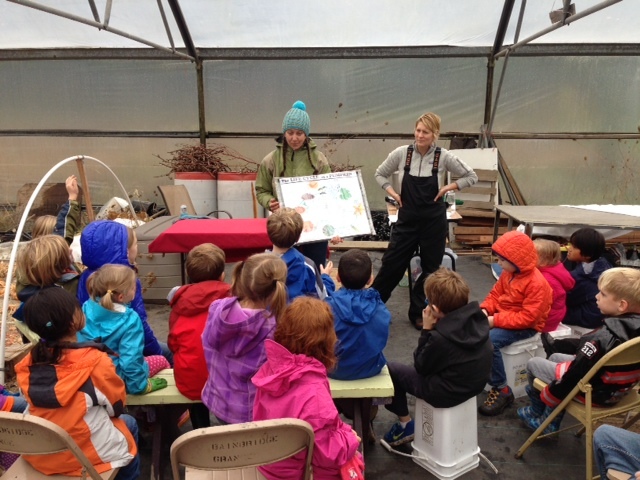 Kim Trefero with her 1st graders at Morales Farm. EduCulture partners with all three 1st grade teachers at Ordway Elementary to help design a program that will best suit their students’ interests. Teachers choose a plant pathway to follow throughout the year on both Suyematsu and Morales master farms. 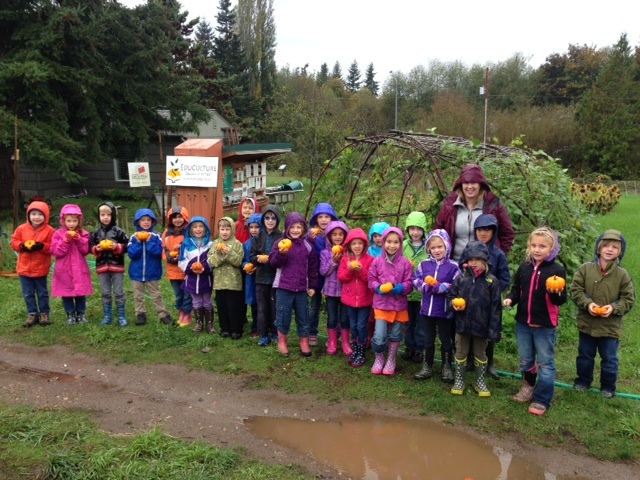 Ordway 1st graders after a pumpkin and potato harvest at Morales Farm, Fall 2014. 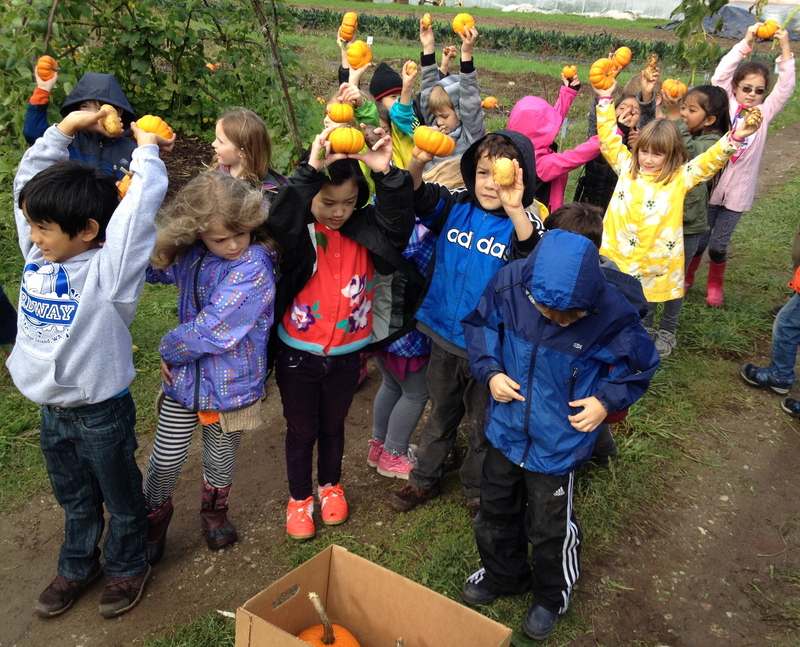 Field classes include seasonal lessons at the strawberry bed at Suyematsu Farm; in the fall, preparing the plants for the winter, and helping to maintain the beds and harvest in the late spring and summer. The students also help plant and harvest potatoes and kale. EduCulture is also working with Ordway staff and volunteers to assist them in expanding their new school garden. Studying the life cycle of a pumpkin with instructors Spring Courtright and Leslee Pate.